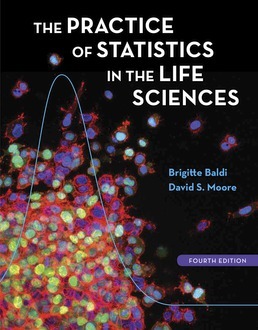 Learn essential statistics through the eyes of a biologist as Practice of Statistics in the Life Sciences provdies you with examples and exercises pooled from across the life sciences. Emphasizing statistical thinking, real data, and what statisticians actually do, this book opens up statistics practice specifically for you. Brigitte Baldi is a graduate of France’s Ecole Normale Supérieure in Paris. In her academic studies, she combined a love of math and quantitative analysis with wide interests in the life sciences. She studied math and biology in a double major and obtained a Masters in molecular biology and biochemistry and a Masters in cognitive sciences. 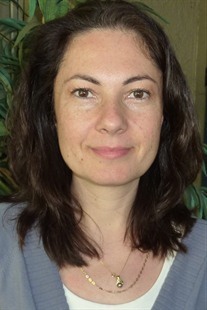 She earned her Ph.D. in neuroscience from the Université Paris VI studying multisensory integration in the brain and used computer simulations to study patterns of brain reorganization after lesion as a post-doctoral fellow at the California Institute of Technology. She then worked as a management consultant advising corporations before returning to academia to teach statistics. 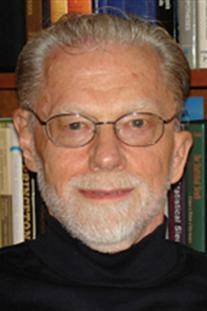 Dr. Baldi is currently a lecturer in the Department of Statistics at the University of California, Irvine. She is actively involved in statistical education. She was a local and later national advisor in the development of the statistics telecourse Statistically Speaking, replacing David Moore’s earlier telecourse Against All Odds. She developed UCI’s first online statistics courses and is interested in ways to integrate new technologies in the classroom to enhance participation and learning. She is currently serving as an elected member to the Executive Committee At Large of the section on Statistical Education of the American Statistical Association.